Welcome to the Clique Kits December Pep Rally. You should have arrived here from the super talented Tyra. If not, you can start our blog hop overhere at Clique Kits. This month's challenge: Enchanted Meadow features many icons all about sparkle and shine! Share something in your project or text of your post inspired by this image and quote. 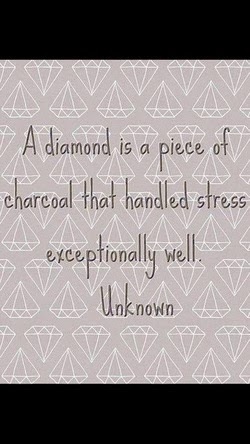 - Do you make lemonade when life hands you lemons? - Sometimes mistakes and 'fails' turn to even something better or unexpected in our projects. Have you made something ugly into something beautiful? - Everyday life looks a little different for each of us, but we have in common our hobby which teaches us to cherish our memories - with all their beautiful imperfections. My favorite way to get out of daily stress, is to spend a day with my little niece and do something fun with her. She is such a happy fun little girl and when I'm with her I lose all stress and forget about not so happy things for a while. Two weeks ago I took her to Madurodam, where all the highlights of our country are re-built in miniature size. It also has some fun interactive elements and we had such a wonderful day. The only thing big in Madurodam are the super sized wooden clogs and I didn't even had to ask Phiene to pose for the camera. Thanks for stopping by today! Your next stop is Sophie. Fabulous layout Danielle!! Love the stamping and all the layers!!! OMG this is so freaking adorable!!! Love the layers! GREAT work Danielle! love how you highlighted the title and the little details... pretty layout! 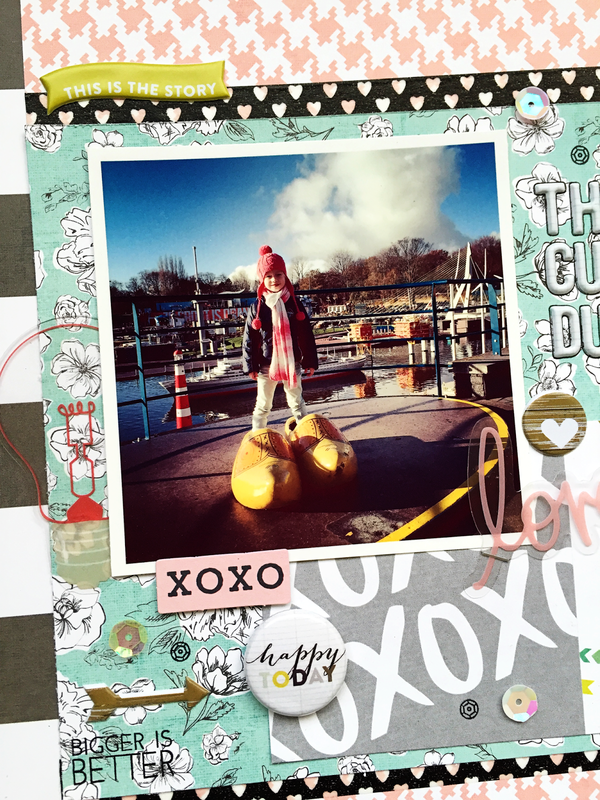 I love the photo of your nice on those huge shoes and I love the whole layout! i'm totally in love with this layout, danielle. you mix patterns so well - i'm seriously jealous! This is an adorable photo and cute layout!!! 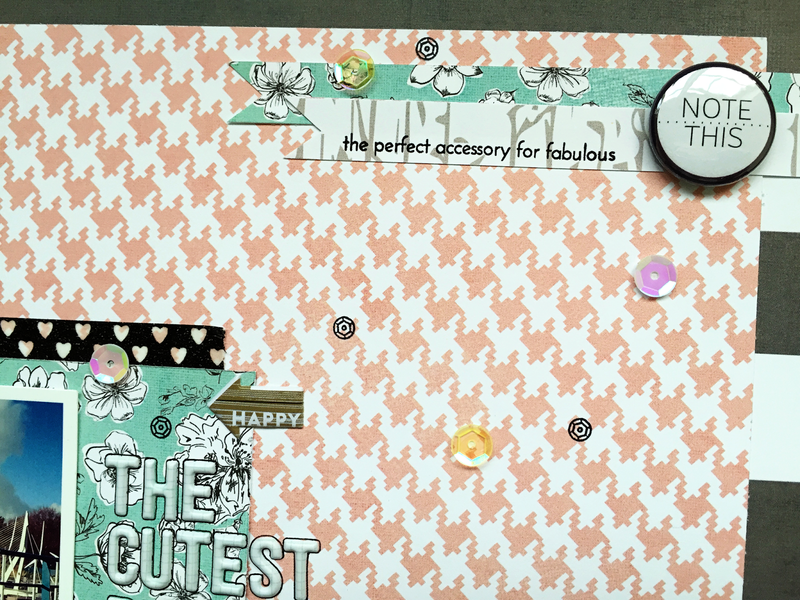 What a fabulous combo of those paper designs Danielle! I LOVE IT!! 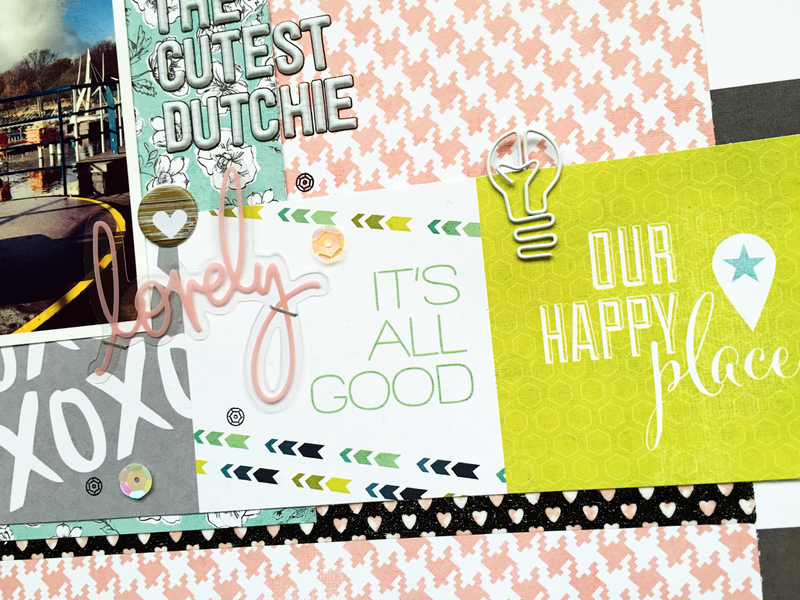 Love this Danielle and I love how you use the words in the stamp set on this layout. Love the mix of papers Danielle, especially the houndstooth pattern!! Oh my GOSH...in LOVE with these papers and what you did with them! Cute layout - love the papers. I love the way you mixed all the patterns together. So pretty.